I'm not going to rip it to shreds, though. I'll just have it in the position, with some BAD parts scattered around. 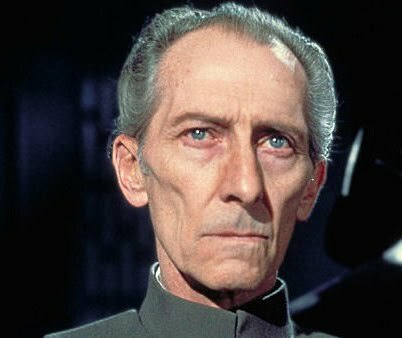 Did you hear a new Tarkin is CONFIRMED for a TVC release next year? I'm getting it for sure, 2 even! Hopefully they get Cushing's face right for once! Tarkin has one of those faces that can be simply captured as an action figure. Location : In a clogs shop. Your friend's great Uncle was Peter Cushing? Seriously? If you have an extras I want one... badly. It is sad he passed on. I wanted his autograph...maybe I can get Gerald Home's (Tessek). I would love that, too. Dang, I need at least 1!